Tired of taping cardboard onto the trip plate of a trap meant for catching raccoons? Exasperated at getting your feral cat back from the vet and finding the back door unlocked? Never enough room on the top plate to place your labels? At long last, your trap has arrived! This the first trap on the market made especially for Trap-Neuter-Return. 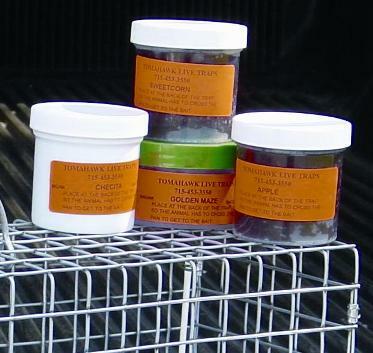 TNR traps were specifically designed by a TNR specialist from Neighborhood Cats Organization of NY. These traps come in two lengths, 30" and 36", and at affordable prices. Neighborhood Cats Traps cure the problems faced over the years when adapting traps made for other animal or purposes. Lots of time was spent by TNR professionals taping cardboard onto trip plates to make the plates long enough to prevent cats from stepping right over them. The trip plate on our Neighborhood Cat Trap is long enough so this will no longer be necessary. TNR traps should also have rear release doors. This makes it possible to feed and clean while a cat is confined in the trap before and after surgery. But the traps used in the past either had no locking mechanism for the rear door or had one that was too ofter left undone when the cats were returned from the vet or spay/neuter clinic. On the Neighborhood Cats trap, locking the back door is a simple, one-step process. Just snap the clip through the loop and you're good! Then there were the handles that were too small, or only one, so when you had a trapped cat shifting around, the trap would tip back and forth and be difficult to carry. Neighborhood Cat Trap has two extra long and thick handles to solve this problem. The top plate is extra large as well, offering more protection to the person carrying the trap from an irrate lodger, plus there's more space for placing labels and instructions for your clinic or fellow trappers. 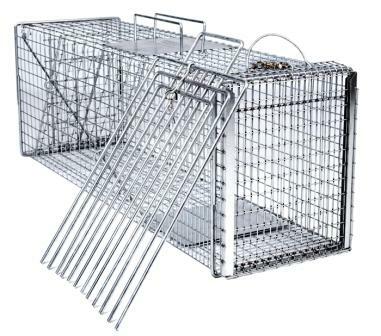 The trap comes with ususal features, including excellent construction, extra reinforced steel rods to secure the front door automatic locking mechanism, smaller wire mesh openings near the rear door to protect your bait from feline paws reaching in, adjustable trigger mechanism with brass roller, and durability for long lasting use. Neighborhood Cats Organization calls this trap their favorite trap, after all, they designed it . It's strong enough that it can be safely used for feeding and cleaning while a cat is confined in the trap. The divider, also designed by Neighborhood Cats, comes with its own safety clip which can be attached to the side or top of the trap. It will work with any standard trap, and is made from 1/4" steel rods for extra strength and durability. Cages with the same rear sliding door latch located at the top of the cage, are also available to match the Neighborhood Cat Traps. Model 606NC measures 30 inches long. The traps can ship one, or two per box. Our Model 306NC also has the rear sliding door latch at the top, to match up nicely to the 606NC. 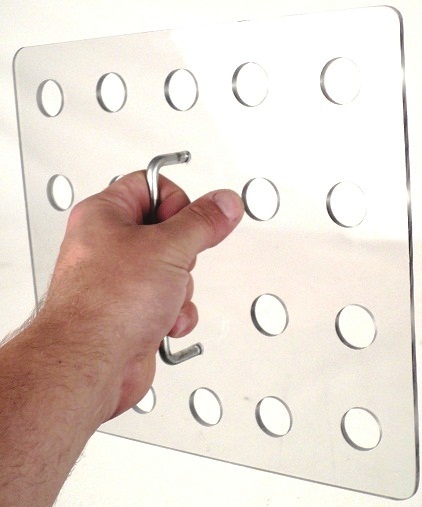 We also offer a trap divider that can slide through the top of the trap, or from the side of the trap. It is also made with a heavy duty snap to keep it attached to the trap. 36" x 10" x 12"